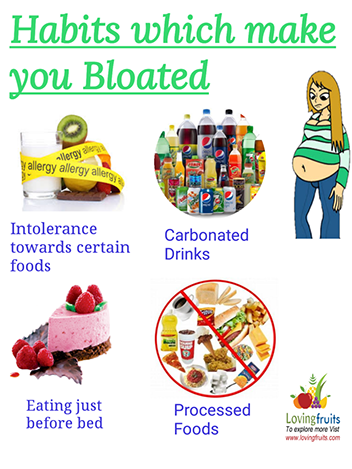 Are you among those individuals who have done almost everything to shed off those nasty pounds? Have you tried every single FAD diet but still can’t seem to fit in to your most loved skinny jeans? Are you tired of spending hours and hours at gym sweating like a pig but disappointed to see no result? If so, worry no more because in this article I am going to tell you about one thing which can be found easily in every pantry and is super cheap. It is none other than garlic, yes! You can use Garlic for weight loss and the good thing is that it doesn’t have any side effect and gives off result instantaneously. 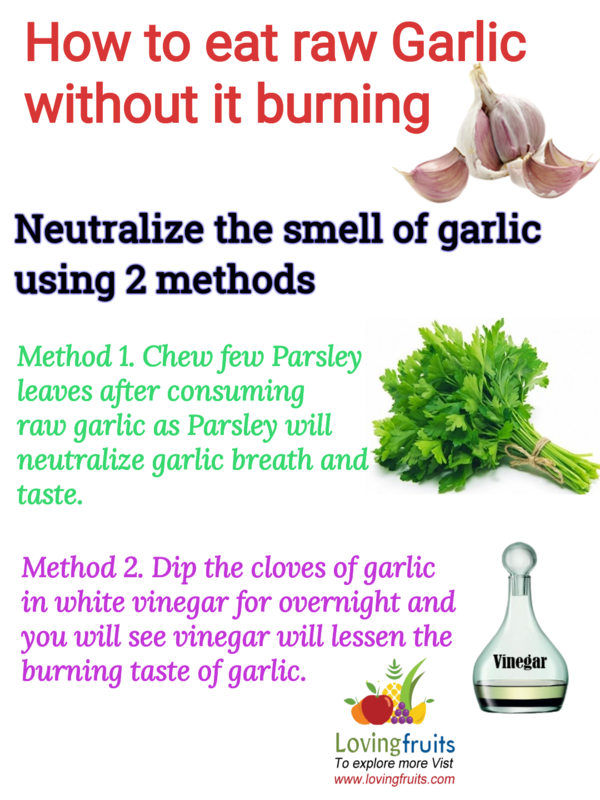 Keep reading and you will get to know some fun garlic hack which will help big time in reducing your weight. Is garlic good for weight loss? Garlic is a miraculous food which works wonderfully well for losing weight. However do not expect any speedy action as it might take time for your body to adjust to changes and provide you with the outcome you have been waiting for. In fact always remember the steadier your weight loss will be the longer it last. One must opt for healthy diet which allows adequate deficiency of calories and regular exercise in order to lose your unwanted extra weight. On the side note although garlic is just a herb do consult your physician before using it for weight loss. How to take garlic for weight loss? 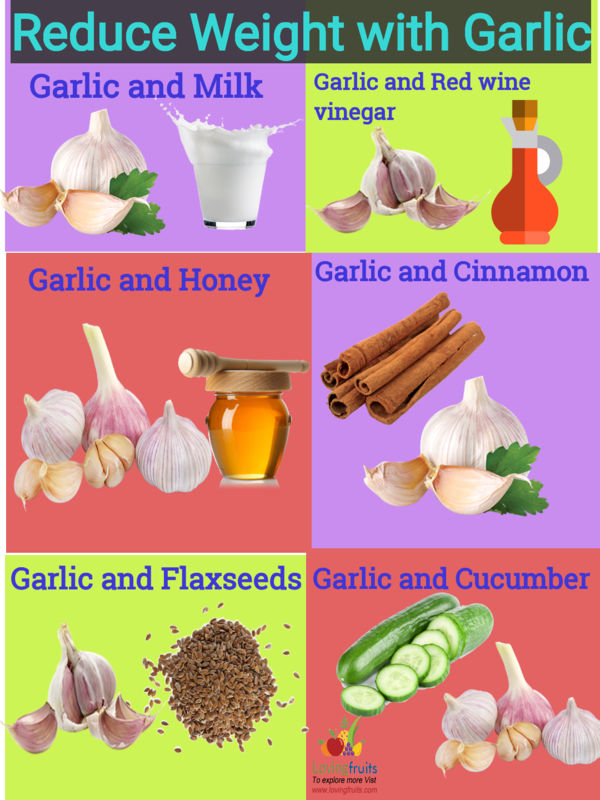 Here are some of the ways in which one can consume garlic either alone or with other things which can trigger the weight loss. Well to start off, I wanted to tell you something simple yet effective all at the same time. Take 2 cloves of garlic and finely chop it so much that it gets bit juice, afterwards leave it in the air for about 10 minutes so that enough enzymes will be secreted in the chopped garlic. Then blend it into a smooth paste. After you are done with the dinner takes about 1 teaspoon with water every day. This will not only help you in losing weight but it also detoxify your liver from the toxins in the blood. Within 2 weeks you will start feeling difference in your overall weight. This is the mixture of the perfect 3 ingredients which are strongest when it comes to result. All you have got to do is to finely chop 1 clove of garlic and add in 2 cup of water, after that take a cube of ginger which should be about half inch in size. Boil it for 7 minutes straight. Take out both garlic and ginger from this tea and serve with 1 teaspoon of lemon. Take this for about 60 days daily and you will reduce 25-30 pounds depending on your lifestyle and metabolism. Drink this ginger and garlic tea and see marked difference. Milk and garlic for weight loss might seem head scratching for many of you but believe me this bizarre combination works like magic and takes off your extra pounds like no one else. For some of you eating raw garlic is quite challenging and tough so all you have to do is to take 2 cloves of garlic and soak it in to 1 warm cup of milk for about 30-35 minutes. Take out the garlic and eat it with the help of the same milk in which it was dipped before. Within 2 weeks’ time you will see mark difference in your weight. Take 3 or 4 heads of the garlic and remove the paper like membrane from the cloves of the garlic. Now take 1 cup of honey and add all the unpeeled cloves of garlic taken from of the 3 or 4 head of the garlic initially and mix it in 1 cup of honey. Spoon it well so that all the trapped air would be removed and let it sit in the mixture for 5 to 7 days. Now take 1 spoon full every day and in 4 weeks a significant amount of your body weight will definitely be reduced. Not only for weight loss, usage of garlic and cinnamon for diabetes is also super famous and almost everyone who has used it said only good things about it. Before trying this remedy I shall warn you that both garlic and cinnamon are very strong in enzymes and chemicals thus at times some people might get sick if they are allergic to either cinnamon or garlic, do take a little at a time when you start this remedy so that you will not make yourself sick. 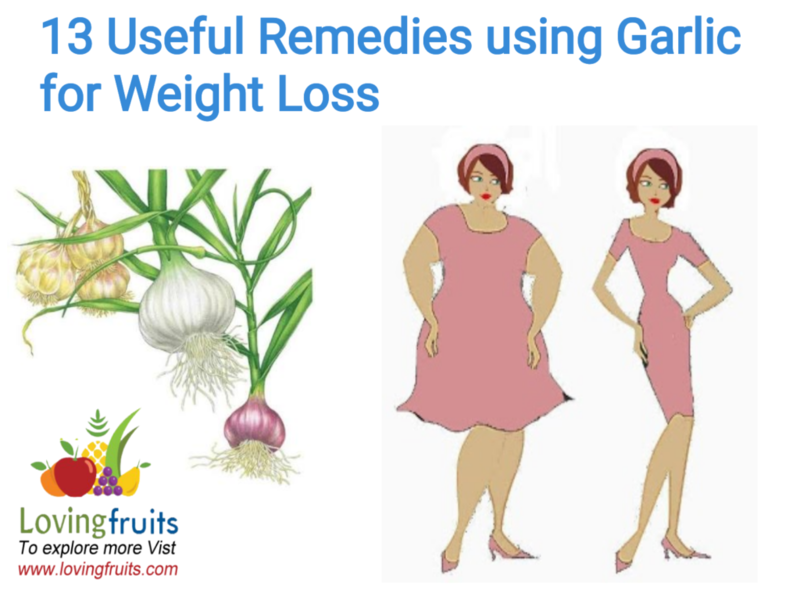 Basically garlic and cinnamon are used to take off that excessive bloating from the body and speeding up the metabolism of the user and not only that people also use garlic and cinnamon for high blood pressure cure. For making this you will take 2 slices of lemon, 2 sticks of cinnamon, 3 mugs of water and lastly 3 cloves of garlic. Boil 3 cups of water on a medium heat and add crushed garlic and the cinnamon stick into this boiling water. Cook for 6 to 8 minutes and turn of the heat. After that add slices of lemon and let it sit for 5 minutes so that the citrus will get infused in the tea. It is highly recommended to use it on empty stomach for quick results. Using both flaxseed and garlic together can be super beneficial for anyone who is willing to lose weight in the most natural way possible. Flaxseed along with cloves can flush off your colon and detoxify the body thoroughly. All you need for this weight loss recipe is 1 glass of water, 2 to 3 cloves of small garlic, 2 teaspoon of flaxseed and honey according to your taste. Finely crush the garlic and with the help of a muslin cloth extract out its juice. In a blender finely blend the flaxseed so that it gets in a powdery form. Now take a glass of water, add juice, flaxseed powder and honey into the glass and mix well. You can take this mixture early in the morning on empty stomach or right before going to the bed. Besides weight loss it also aids in lowering the levels of cholesterol. 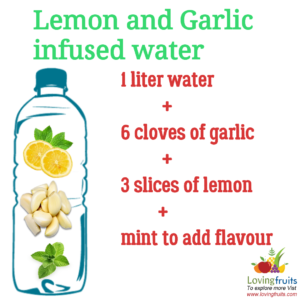 If you have heard of infused water, than you will definitely know what I am talking about. Infused water is made when we add slices of any vegetable or fruits in water and leave it for few hours and then drink it all day long. If your metabolism is sloppy then drinking detox or infused water can elevate it up to 25%. 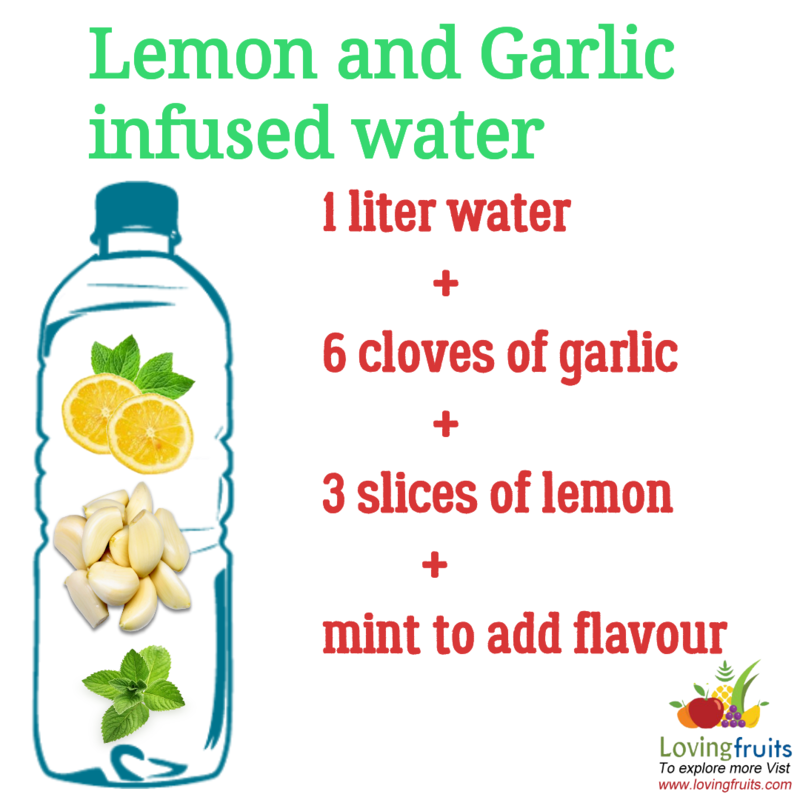 All you have to do is to take 1 liter water add 6 to 9 peeled cloves of garlic and slices of 3 lemons. Stir them well and leave them in refrigerator for overnight. For added flavor you can also add mint leaves in this water. Use this garlic drink it throughout the day and be amazed to see such drastic results on all over your body. Red wine vinegar is identically known to burn excessive fat in the body. Red wine comprises of a chemical known as ellagic acid which according to science slows down the growth of the fat cells of the body and not just that it also boosts the metabolism of the user. All you have to do is to finely crush 12 to 14 cloves of garlic and pour it into half liter red wine. Leave it for two weeks on a place which is in direct contact with the sunlight. Consume this mixture before every meal. You will see vivid results after 1 month of use. I know putting a lot of efforts when it comes to weight loss is not an easy thing for so many among us. So a very simple yet powerful hack is to boil 4 to 6 cloves in 2 cups of water. Boil it for 10 minutes and then let it rest overnight. Drink the water every day in the morning and throw away the garlics and you will see yourself reducing extra weight within a week after the consumption. Although I have given it a separate title, this is basically an extension to the previous title. Take the garlic water you have made earlier and scoop out aloe gel from 2 big aloe leaves. Blend these together so that the mixture comes in fine consistency. Drink this mixture 3 times before meal in a cup and you will see changes in yourself after 3 weeks or so. All these three ingredients are full of potential. When you wake up in the morning mix 1 teaspoon of honey, garlic juice and apple cider vinegar and sip it on empty stomach. For rapid result you can also add a pint of either lemon juice or cayenne pepper. Cucumber is by far the only vegetable which can easily refresh the body of the user with in a second. All you have to do is to blend in together 2 cucumbers, 3 cloves of garlic, 1 celery stick and 1 teaspoon of flaxseed powder. Always remember to blend this mixture for 4 straight minutes and drink it early in the morning. Repeat it till you reach your desired weight goal. You can easily buy the garlic powdered form any grocery store and you will be amazed to know its potent benefits. Add 1 teaspoon of garlic powder in warm glass of water with 1 teaspoon of honey and 2 teaspoon of lemon. Within 3 weeks you will be able to shred 4 pounds using this remedy only. People have been using garlic for weight loss since the ancient times. Garlic is loaded with good enzymes and chemicals which can trigger the process of weight loss in a few weeks. 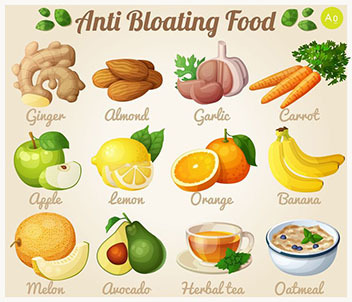 In this above-mentioned article I have mentioned some cool and 100% effective remedies which can trigger the weight loss process with in no time so check it out and try it. ← If you ever wondered is garlic a vegetable or a fruit?